Arsenal have maintained an unbelievably bad record for 2018 after today’s 2-1 defeat away to Newcastle United. Remarkably, the Gunners’ latest setback means they are now the only Premier League club not to pick up a single point away from home in the calendar year 2018. Not only that, they’re the only club in the top five divisions of English football not to gain points on their travels since the turn of the year. 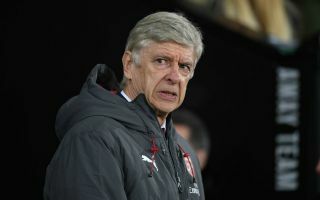 Arsene Wenger has serious questions to answer as his side have really allowed standards to drop to a new low this season as the top four now looks well out of reach. Winning the Europa League is now the club’s only realistic hope of qualifying for next season’s Champions League, but they’ll be underdogs over two legs against Atletico Madrid in the semi-finals. Fewest away points in 2018, top 4 English leagues ? A club of Arsenal’s size should not be so poor away from home, with the team starting brightly today before fading as they’ve done so many times this term. Alexandre Lacazette scored a fine opener before goals from Ayoze Perez and Matt Ritchie turned things around for Rafael Benitez’s side at St James’ Park. What a fall from grace for Wenger – who has twice guided Arsenal to unbeaten seasons away from home, first in 2001/02 and then again in the ‘Invincibles’ year of 2003/04 when they didn’t lose at all.